In a Nutshell: Retirement is a relatively recent social institution, but it’s no less an important financial concern. Unfortunately, not everyone is able to effectively save for their future, and many people are unfamiliar with the variety of investment options that can help them build wealth and prepare for retirement. The Entrust Group provides information and assistance to those who want to self-direct their retirement plans in alternative investments such as real estate, precious metals, private placements, and use a Health Savings Account as a retirement tool. Through these, investors can enjoy the benefits of compounding interest to rapidly build savings and diversification to protect the wealth they’ve accrued. With the necessary knowledge and a commitment to saving, anyone can start preparing now so they can enjoy financial security later in life. Following the Industrial Revolution, aging workers’ declining physical capabilities became a hindrance to the fast pace of factory work. But, as New York Times explains, these workers’ seniority ensured their continued employment. This, in turn, prevented younger workers from obtaining jobs necessary to support their families. In 1935, Social Security was established to enable (and encourage) workers to retire at 60. But, by the 1970s, Social Security’s phase-in period was over, and a larger number of workers began to collect benefits. Amid greater payouts and other financial issues, Social Security’s future solvency seemed uncertain at best. The Employee Retirement Income Security Act of 1974 led to the creation of Individual Retirement Accounts (IRAs) as tax-deferred means of saving for late-life expenses. Although many IRAs consist primarily of stocks, bonds, and mutual funds, self-directed IRAs are a bit different. “You are directing your custodian, or record keeper, on how you want to handle your retirement plan assets,” said John Paul Ruiz, Director of Professional Development at The Entrust Group. The Entrust Group provides general information and education on retirement planning and, more specifically, on holding alternative assets in self-directed IRAs. The company acts as a recordkeeper for self-directed IRAs. To remain tax deferred, the money held in a retirement plan cannot be accessed. John Paul Ruiz, Director of Professional Development for The Entrust Group, told us about some of the advantages of alternative investments and having a diverse portfolio. “Somebody has to take custody of the assets, or safekeeping of the assets, as well as recordkeeping, and report that amount to the IRS on a yearly basis. As a self-directed IRA administrator, that’s what we do,” Ruiz said. Typically, IRA administrators don’t allow certain investments, but — with only a few exceptions — self-directed IRAs can hold a broad range of investments. “We offer a platform that allows for individuals to choose whatever investments they would want to hold under a retirement plan,” Ruiz said. These self-directed retirement plans represent a world of options for investing, building wealth, and saving for the future. Stocks, bonds, and mutual funds are staples of common retirement accounts like 401(k)s, 403(b)s, and IRAs. But one of the greatest benefits of self-directed IRAs is the potential for diversification. “When the stock market crashed in the late 2000s, a lot of people lost a lot of their money in their 401(k) plans or IRAs because they were banking on the fact that those companies were going to be around for a while,” Ruiz said. “If you’re just in stocks and bonds and mutual funds, although your assets are diversified, it’s diversified from a stock perspective. It’s all stocks. But there are other investments out there that have done as well as stocks for the last 100-some-odd years. But diversification isn’t limited to investments within one account. “You can open up as many IRAs as you want and diversify your portfolio,” Ruiz said. If one organization crashes, retirement plans won’t crash with it; the aspiring retiree still has other accounts to fall back on. So, even if you’re already invested in stocks, bonds, and mutual funds with one IRA, you can still make alternative investments in another one and better safeguard your retirement resources. The US government sets very few investment restrictions on IRAs. “There are only three types of investments you cannot hold under a retirement plan, and those are collectibles and term life insurance contracts,” Ruiz said. Additionally, S-corporations cannot be held as an IRA investment since an IRA cannot be a shareholder of an S-Corporation. Beyond these limitations, self-directed IRAs provide access to the full range of investment opportunities. “It just so happens that, as an administrator, we are willing to accept those types of assets to be held under a retirement plan,” Ruiz said. Some major options for investors are real estate, precious metals, private placements, and using an HSA to invest, rather than an IRA. Instead of using cash or a loan to invest in property, real estate can be purchased and held under an IRA’s name. Whether residential or commercial, the income from rent is treated as interest, like earnings in a savings account. Under an IRA the interest is not taxed until distributed. The IRA’s tax-deferred status allows these assets to grow rapidly and even be reinvested to buy additional property, similar to growing an IRA by reinvesting returns from a mutual fund. If you want to invest in real estate but don’t have the capital to do so alone, more than one person can combine funds to purchase property as a real estate investment and hold an undivided interest on the property. This is the foundation of real estate clubs, which cater to people who don’t want to risk as much cash on a piece of property but want to diversify their portfolios. “The co-ownership only means, from our perspective, that all the incomes and expenses must be paid proportionately,” Ruiz said. Precious metals offer a traditionally stable asset to invest in. “The Small Business Job Protection Act of 1996 allows for such investments to be held under an IRA, and our platform allows us to connect you with some of the gold dealers who are familiar with the type of gold you can hold under an IRA,” Ruiz said. Relative stability and tangibility are two key advantages of investing in precious metals. Investors also have access to silver, platinum, palladium, and bullion. These are bought from a dealer of the investor’s choice and stored at a secure depository. 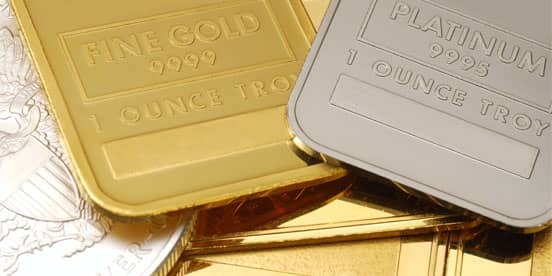 Precious metals are still a speculative investment, so there’s inherent risk, but the asset will never disappear like stock would if a company goes under. “The gold will always be there,” Ruiz said. Private placements are, as the name suggests, investments in a privately held business. “Want to buy into the next Facebook? Knock yourself out. You can do that,” Ruiz said. Private placements are typically limited to accredited investors. These financially sophisticated individuals are qualified to take risks in unsecured investments with a reduced need for the regulatory protection provided by disclosure filings. There are some limitations on investment options, but private placements nonetheless represent an effective means of diversifying a portfolio. Health Savings Accounts (HSAs) are an alternative to IRAs that present the same possibilities for self-directed investment. “A lot of individuals who actually participate in what we call a high-deductible health plan at their work are eligible to contribute to HSAs. Those HSAs can also be invested in the alternative world,” Ruiz said. Like IRAs, HSAs feature tax-free growth and the ability to hold diverse assets. These funds become accessible at age 65 without penalty to be used for any purpose. If distributed for medical expenses, the distribution is tax-free. As much as wealth depends on capital, knowledge is also an important factor in financial success. “A lot of the wealthy are the ones who typically have the information, so it’s the proverbial rich-get-richer. Part of the reason they get richer is that they know the information,” Ruiz said. The Entrust Group is aiming to even the playing field, especially for first-time investors, by making that information more accessible. For those seeking to start planning for retirement, guidance is publically available. “The SEC has a good section on their site devoted to investing, especially for novice investors,” Ruiz said. The Entrust Group also has an online learning center where readers can learn more about self-directed retirement planning. These resources can help investors get educated and get started — and the sooner, the better, because the essence of retirement planning is saving.